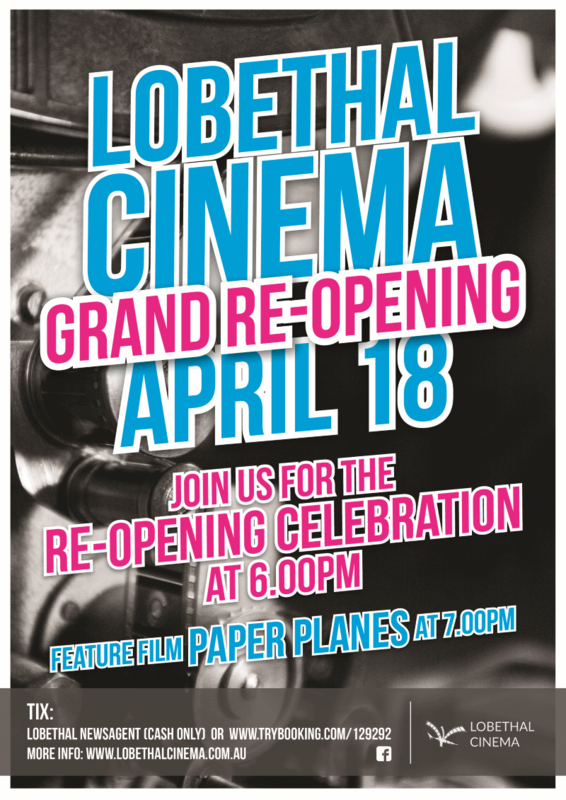 A unique cinema that I know well had to close down last year because at that time they did not have the digital equipment to show the modern films. However Thanks to the many local supporters the necessary money has been raised and it is due to re-open next month April 2015. This is more of a 40 s story but nevertheless it feature a beautiful young actress getting married here in England and is well worth including I think. 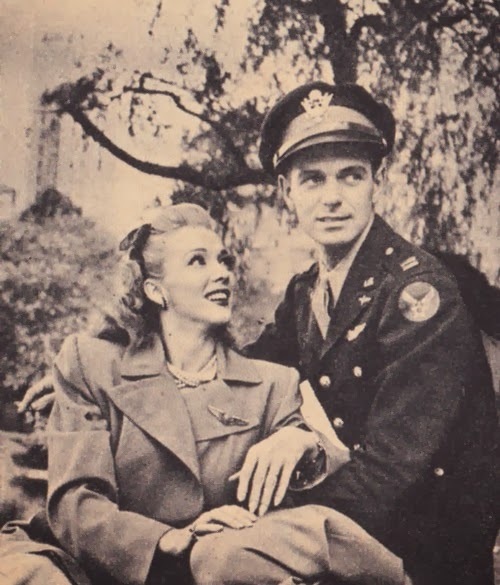 On January 5, 1943 Carole married Captain Thomas Wallace in London, England. He was a twenty-five year old Air Force pilot from Pasadena. 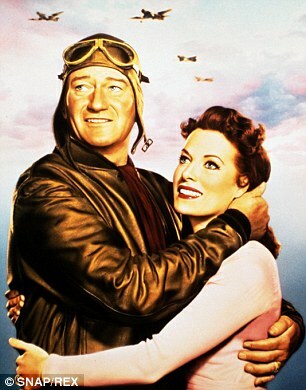 Tommy had been part of the English Royal Air Force’s American “Eagle Squadron”. 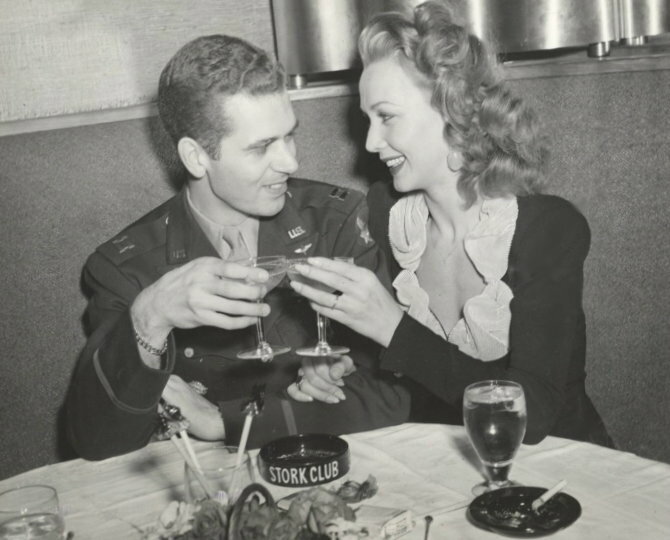 She met him on November 13, 1942 when she was entertaining soldiers in England. Carole said “Something hit me right in the heart. I only looked at him for a minute, but I saw his wonderful dimples, his tremendously expressive eyes, his curly hair.” He proposed on their first date but she waited several weeks before agreeing to marry him. Tommy couldn’t get an engagement ring so he gave her his signet ring. She had wanted to get married on January 1, her 24th birthday, but it was against British law. 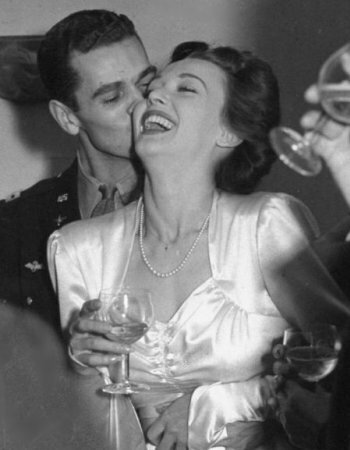 The wedding was almost canceled when she suffered an appendicitis attack in December 1942. She recovered in time for the ceremony and the doctor who removed her appendix gave her away. While getting ready at the Savoy hotel Carole said she was “nervous”. This was her third marriage and Kay Francis tried to convince her to cancel the wedding. Carole wore a cream colored satin dress designed by Hartnell, a strand of pearls, and orange blossoms in her hair. Her bouquet was made of white carnations and orchids. The ceremony took place at 2:00 PM at the Church of Our Lady Of Assumption on Warrick Street. Tommy was a Presbyterian but he agreed to have a Catholic ceremony. He told reporters “I am probably the luckiest man in the world”. Tommy’s friend Gus Daymond was his best man and Mitzi Mayfair was the maid of honor. Mitzi had collected ration coupons so Carole could get her dress and shoes. Joan Rice had travelled all the way to Fiji in 1952 to film His Majesty O Keefe with Burt Lancaster – a big Warner Brothers Production. This followed very quickly after The Story of Robin Hood 1952 for Walt Disney. Joan Rice was certainly in the big league forthese TWO films. She was VERY good in them both but somehow, inexplicably, her film career seemed to fade after that. Whatever happened to her at that time, we can only guess, but for these two films alone, she should be well remembered. Sadly Joan Rice died a number of years ago in 1999. She was a very beautiful girl as this picture confirms. Way back in the fifties this is the sort of advertisement we would get in the press – and in fact the type of films we would get at the time. One a light comedy and the ‘big’ picture ‘The Golden Horde ‘would take us across the world and back in time with an acton packed big screen COLOUR picture – and in those days ‘In Colour’ was a big attraction. Maureen O’Hara is selling her beloved home in Ireland. Majestic property has 35 acres of land and boasts two private islands. With its dramatic coastline and verdant hills, Ireland’s County Cork has long been a magnet for celebrities wanting a break from the limelight. 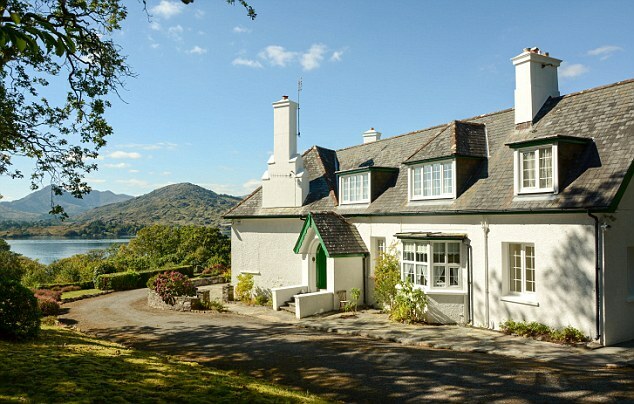 However probably the most famous star to find a hideaway in County Cork is the queen of Hollywood romance, Maureen O’Hara, who has owned a spellbinding property on the coast for more than 45 years. 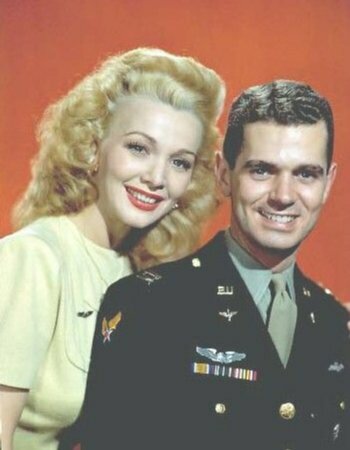 Now, at the age of 94, the movie legend has taken the painful decision to put the home, called Lugdine Park, on the market and live full-time in the United States. Once considered the world’s most beautiful woman, Dublin-born O’Hara is relocating to Idaho to live with her daughter Bronwyn. Lugdine Park was built in 1935, boasts five bedrooms, 35 acres of land and two private islands. 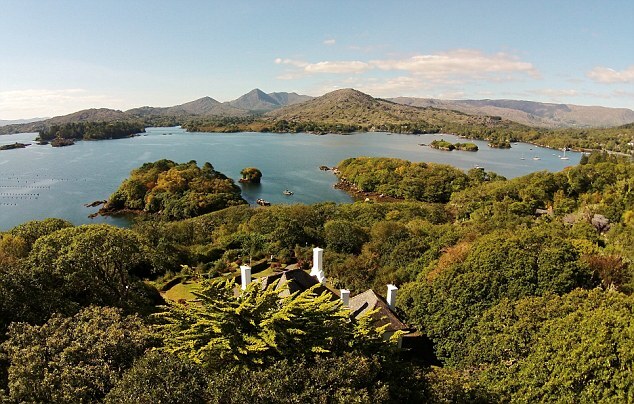 It has wildly romantic views of the Atlantic Ocean and looks down on the harbour of the village of Glengarriff. 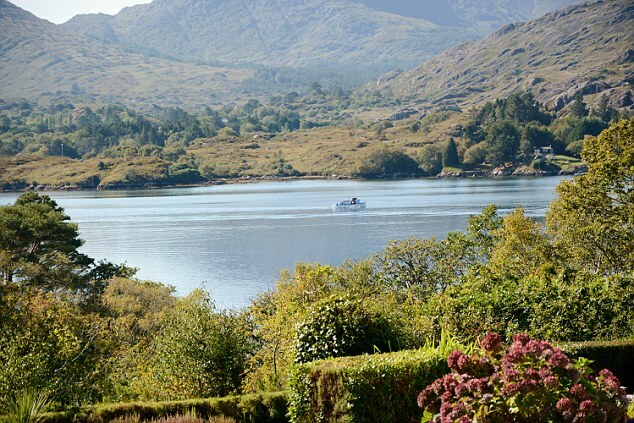 ‘I have the most wonderful neighbours a person can hope for in Glengarriff,’ she said. ‘We’ve been together for so long and love each other as old friends. Everybody has always been very respectful of my privacy if I want it, but I can’t wait to see everyone whenever I arrive. O’Hara’s big break came when she auditioned for a movie role in London, after she had studied at the Abbey Theatre in Dublin. Oscar-winning actor Charles Laughton happened upon her screen test and was captivated by her expressive eyes. 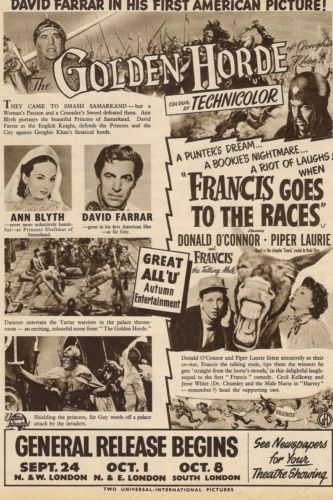 He recommended her for the lead role in Alfred Hitchcock’s British-made 1939 film Jamaica Inn. She starred in The Hunchback Of Notre Dame, How Green Was My Valley, The Black Swan, Sinbad The Sailor and Miracle On 34th Street. She also made five movies with John Wayne, including The Quiet Man, in which Wayne played an Irish-born American returning to his homeland. She has been married three times, having her daughter with her second husband, the film director William Houston-Price. One place that has been a constant for her over the past half-century is her vast home in West Cork. Unique features: Home of Hollywood legend Maureen O’Hara, two private islands and private beach, 35 acres of land. Maureen O’Hara last set foot in the property in 2012. She originally put it on the market for €2.3 million last year, but has now dropped that to €2.1 million. The 94-year-old Quiet Man star has entertained a several celebrities and VIPs at the property including former Mayor of New York Ed Koch. A previous owner of the house before O’Hara was William Martin Murphy, founder of the Irish Independent.